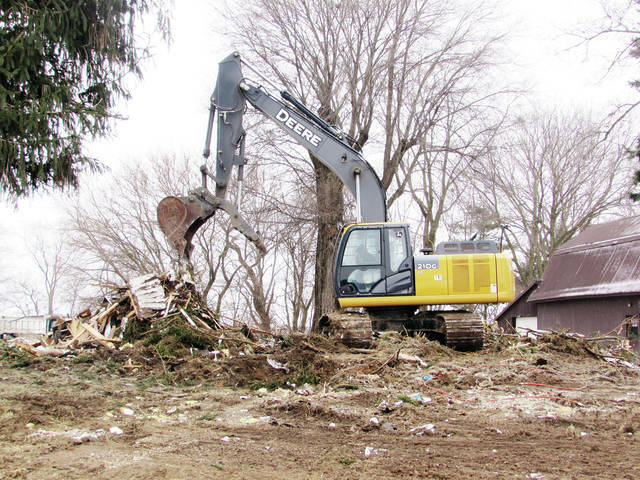 Heavy equipment on the former Worley property on County Road 6 removed debris from the demolition work. The convicted killer’s house and a trailer on the property are being removed. 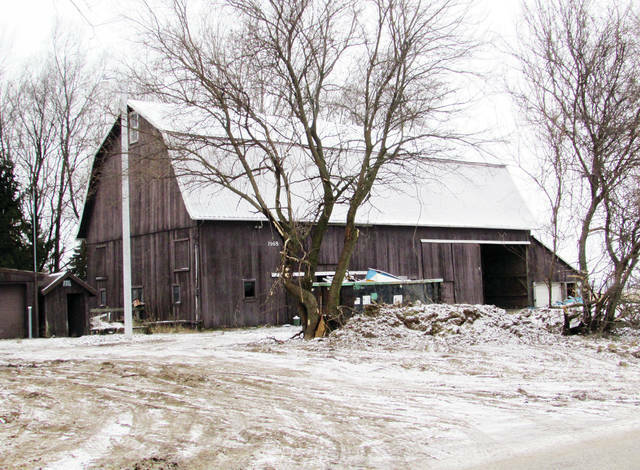 The barn where Worley is suspected of killing Sierah Joughin will be torn down next March. While convicted killer James Worley sits on death row, the mother of victim Sierah Joughin has begun the process of clearing his former property of any trace of the crime. Demolition of Worley’s house and a trailer at 10627 County Road 6 in rural Delta was delayed Monday due to weather, but by Wednesday morning the house was a pile of rubble. Sheila Vaculik, Joughin’s mother, said by March of next year the 3.05 acres awarded to her daughter’s estate through a wrongful death suit will be rid of painful reminders to Joughin’s family. Demolition will include a barn where evidence suggested Worley took Joughin’s life. He kidnapped the 20-year-old Metamora resident the evening of July 19, 2016, as she rode her bicycle on County Road 6 near her home. Worley was charged with her death three days later, when her body was found. Following a lengthy court trial, he was convicted March 27 of 17 counts, including aggravated murder and kidnapping. In April, Fulton County Common Pleas Court Judge Jeffrey Robinson sentenced him to death. He awaits execution at Chillicothe Correctional Institution. Vaculik’s attorney, Jerome Phillips, announced July 2 that Joughin’s estate was awarded Worley’s property and $3.6 million in punitive damages through a civil suit Vaculik filed against him in April. Worley had placed the property in a trust shortly after he was charged with Joughin’s murder, an action Phillips and Vaculik believe was meant to protect it from forfeiture. Worley’s attorneys had previously submitted court filings asking Judge Robinson to hold the property until Worley’s appeals process ended. That matter was settled Sept. 10, when both sides agreed to the demolition of buildings at the site, with the exception of the barn. It will stand until March of 2019 to allow the attorneys access. Only a garage and a chicken coop on the property will be spared. “The main thing was to take the barn down. It’s a reminder of what had taken place. It’s like a neon sign out in the middle of the country,” Phillips said. The demolition work has been donated by Erhsam Excavating of Delta, Get Er Dug of Lyons, Klumm Brothers Excavating of Holland, Ohio, and JEHM Enterprises of Bowling Green. Vaculik testified before legislators in Columbus Nov. 13 on behalf of Ohio Senate Bill 231, known as “Sierah’s Law.” Sponsored by District 2 Senator Randy Gardner, it would create a data base of violent offenders and their locations to aide state law enforcement agencies. The bill has passed the state Senate and is currently being considered by the House. Gardner said he sponsored the bill so law enforcement agencies can know the location of violent offenders, and perhaps solve or react more promptly to a crime. The bill would also allow citizens access to information about where offenders convicted of aggravated murder, murder, voluntary manslaughter, kidnapping, and abduction live on a county-by-county basis. “We just think it’s important that knowledge is power, and we want to give people the ability to know where violent offenders live if they think that would help make their families safer,” Gardner said.